​Chicago born and bred, Cody Haskell is overjoyed to receive a 10th birthday gift of two weeks with his grandparents in Cundy’s Harbor, Maine. By the end of his visit, Cody has filled a scrapbook recording new experiences like lobstering with his granddad, kayaking, hooking a shark, hiking on the Appalachian Trail, and moose, whale and windjammer-spotting. 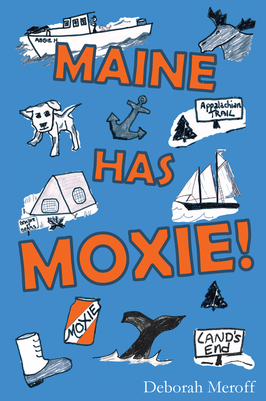 He has discovered that moxie is much more than a drink, it’s the best possible description of the gutsy spirit and inventiveness of Maine’s people. ​ Deborah Meroff was born in Bath, Maine, in 1948. Debbie and her family moved to several adjoining states during her childhood but always returning to Maine for summer holidays, leaving her with a deeply rooted love for the state. After graduating from Pinkerton Academy in Derry, NH, in 1966, Debbie earned a BA degree in Interpretive Speech from Bob Jones University in Greenville, SC (1970) and then an MLS at the University of Maine in Orono (1973). Following service at the Auburn, ME Public Library as Circulation Librarian and at the Lisbon Falls Community Library as Library Directory (’77-’82) she became the editor of a Christian magazine, Floodtide, in Fort Washington, PA (’82-’85). 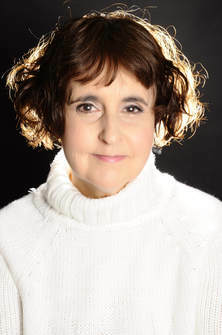 In 1986 Debbie accepted the position of journalist/press officer on board OM Ships, a Christian charity which continues to take book fairs to countries worldwide at the invitation of their governments. Shipwrecked off South America with the MV Logos in 1988, Debbie moved to OM International’s communication office in London. For the next 26 years she served as a journalist and photographer at large, travelling to over 100 countries and writing several books* as well as scores of articles. In 2014, Debbie retired from OM International. She continues to enjoy freelance writing from her lakeside cottage in Sabbatus, Maine.